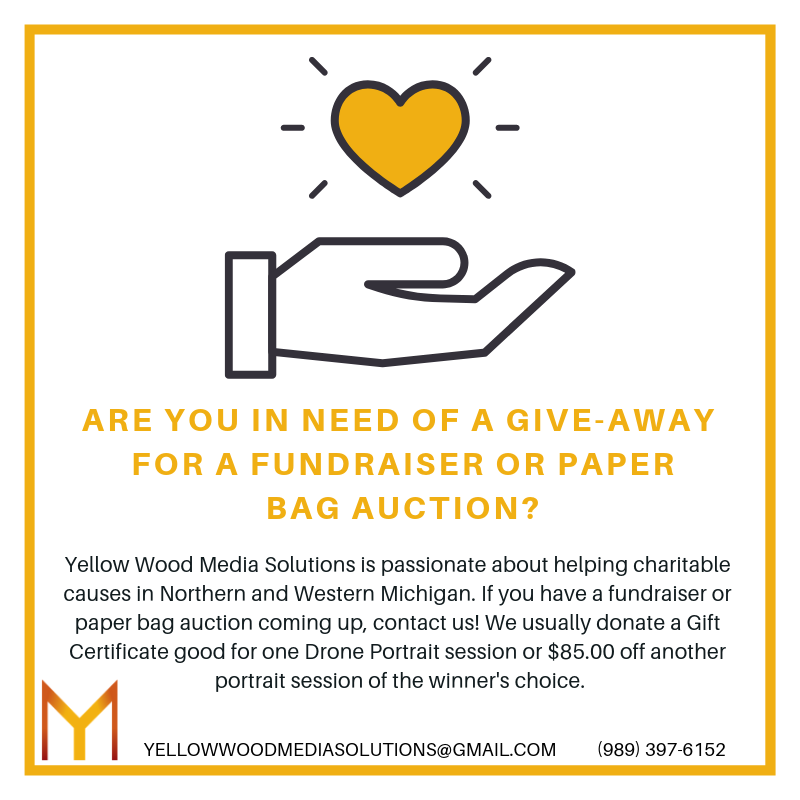 Yellow Wood Media Solutions (@YellowWoodMedia) Giving back is important! We&#39 ;d love to donate a gift certificate good for one #drone portrait session or $85 off another #portrait session of the winner&#39 ;s choice to a #charitable cause you&#39 ;re passionate about! So, spread the word! 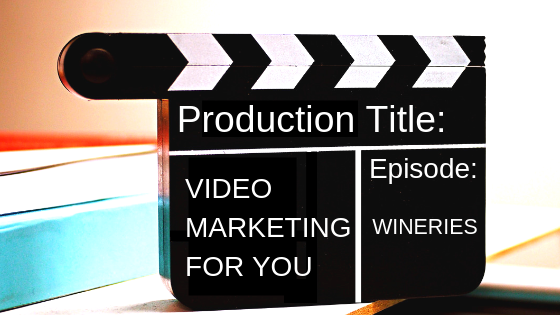 Yellow Wood Media Solutions (@YellowWoodMedia) With so much competition, it’s important for #wineries to showcase what makes them unique - to set themselves apart, and video is a great way to do just that! Find out how in our newest #blog post! 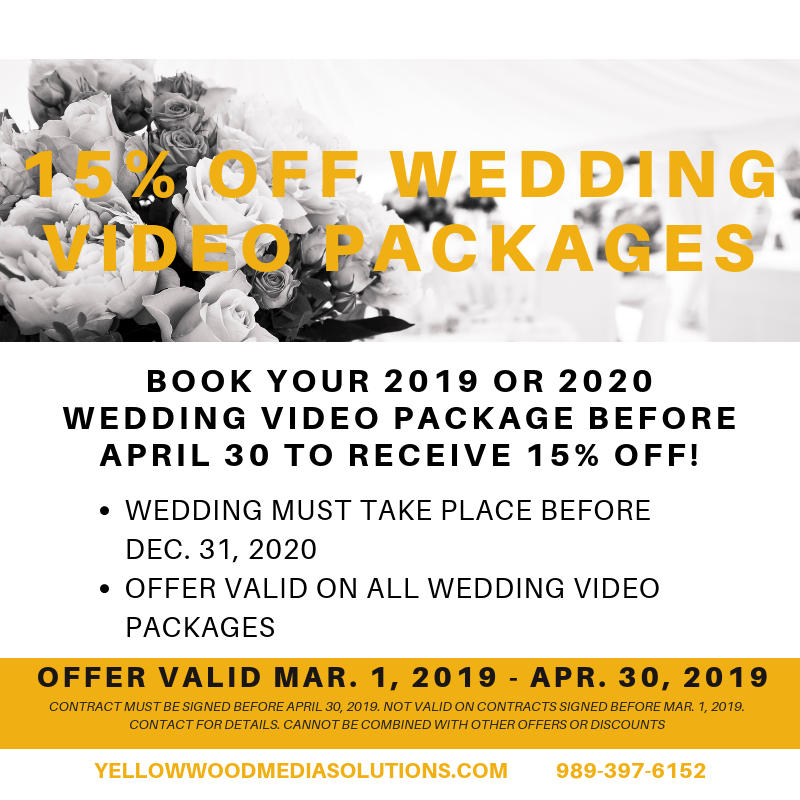 Yellow Wood Media Solutions (@YellowWoodMedia) Get your foot in the door with the decision makers at businesses with video! 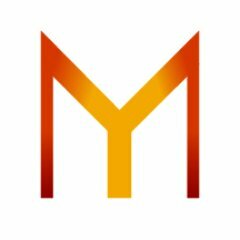 Yellow Wood Media Solutions (@YellowWoodMedia) No joke here! Book your 2019 or 2020 #wedding by the end of the month and receive 15% off! Yellow Wood Media Solutions (@YellowWoodMedia) His reaction when he first saw you. The tears in your father&#39 ;s eyes as he gave you away. Who wouldn&#39 ;t like that? 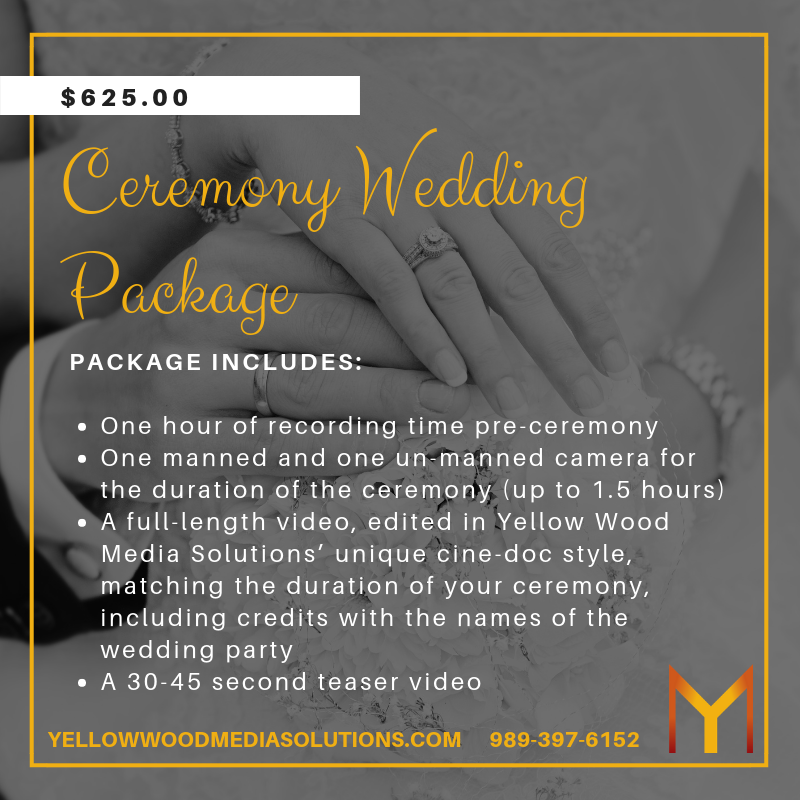 Yellow Wood Media Solutions (@YellowWoodMedia) We&#39 ;re offering 15% off all #wedding #videography packages right now, including this one! The Ceremony Package, seen below, is normally $625.00 but now is just $531.25! Yellow Wood Media Solutions (@YellowWoodMedia) See more tips like this in the #blog series "Video Marketing For You." 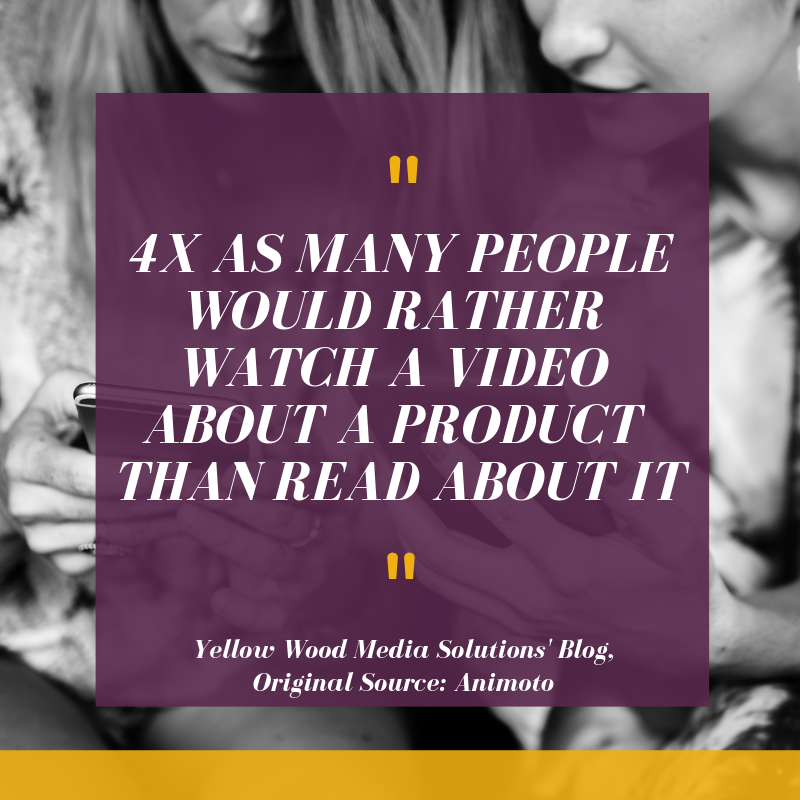 Yellow Wood Media Solutions (@YellowWoodMedia) Convinced you want to add #video to your #marketing strategy, yet? 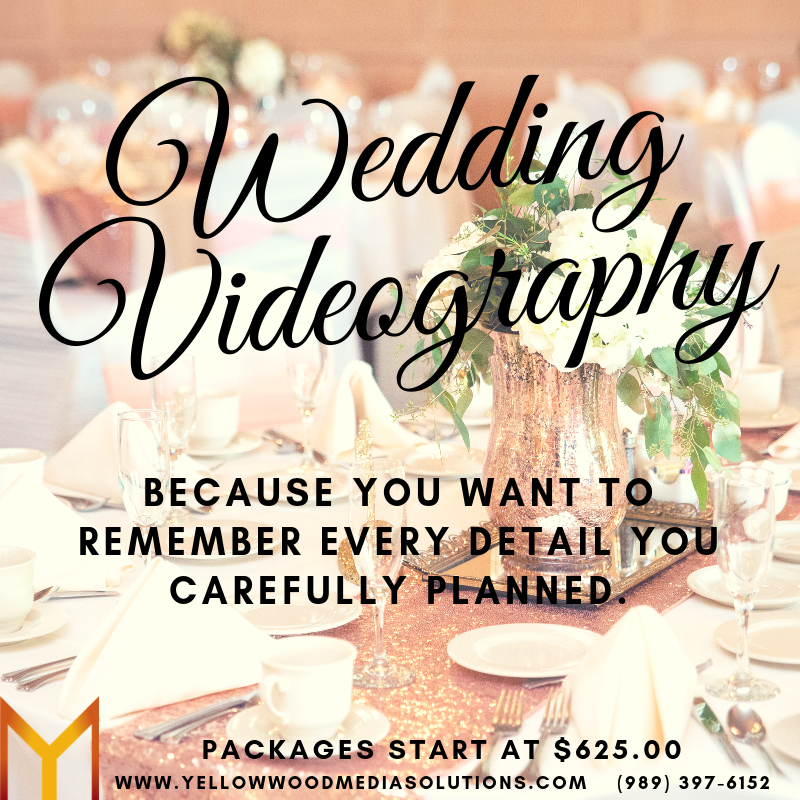 Yellow Wood Media Solutions (@YellowWoodMedia) Your wedding #video doesn&#39 ;t just capture the big moments from your #wedding . It also captures those little moments you want to cherish, and those you may not even remember! 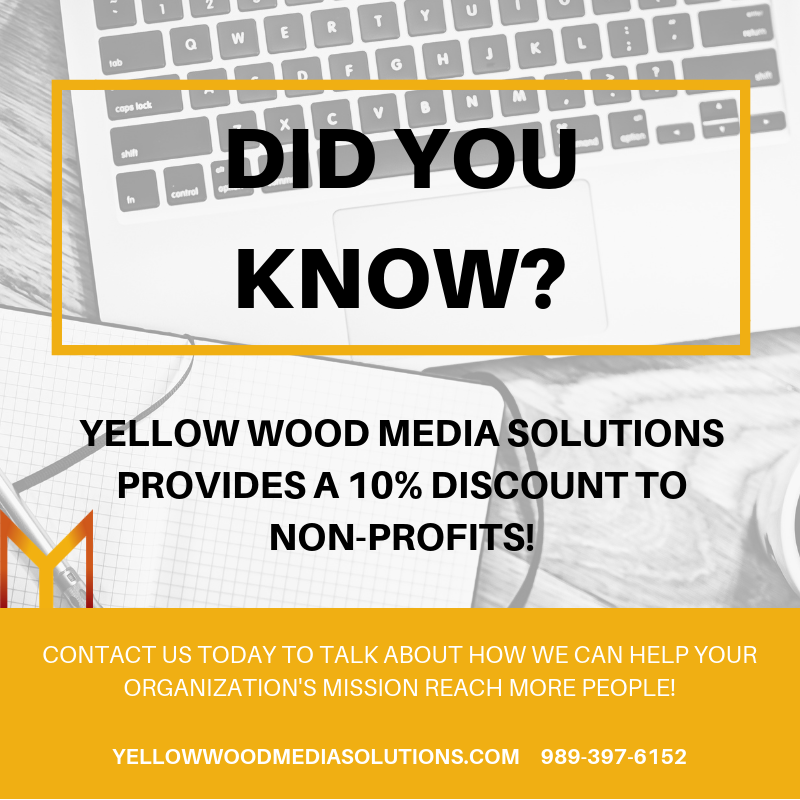 Yellow Wood Media Solutions (@YellowWoodMedia) Know a #nonprofit thinking about adding video to their #marketing services? 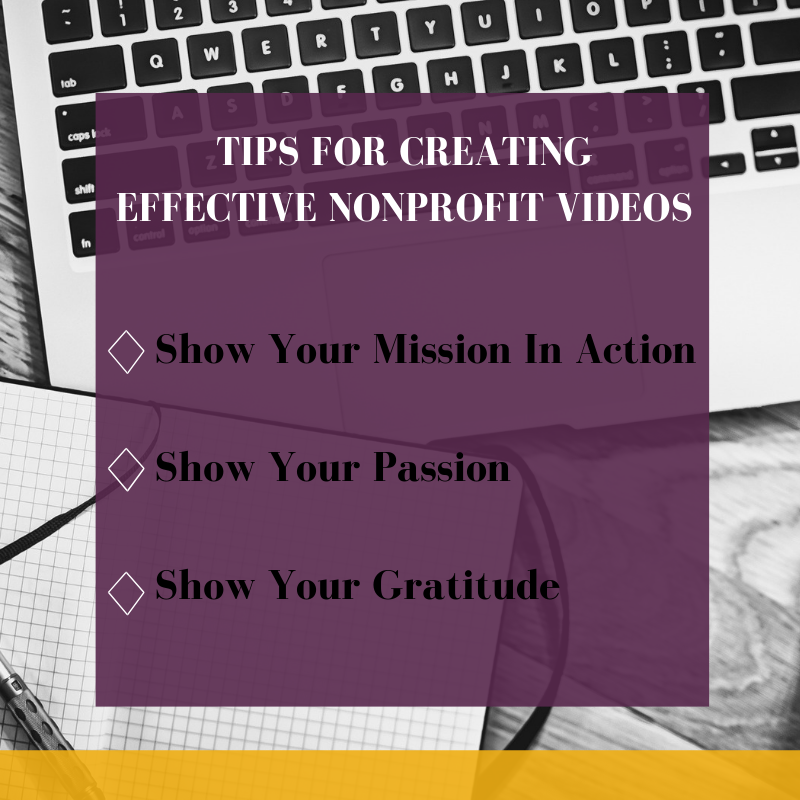 There are so many amazing organizations in the communities we live and work in, and #video can help them showcase their amazing missions! 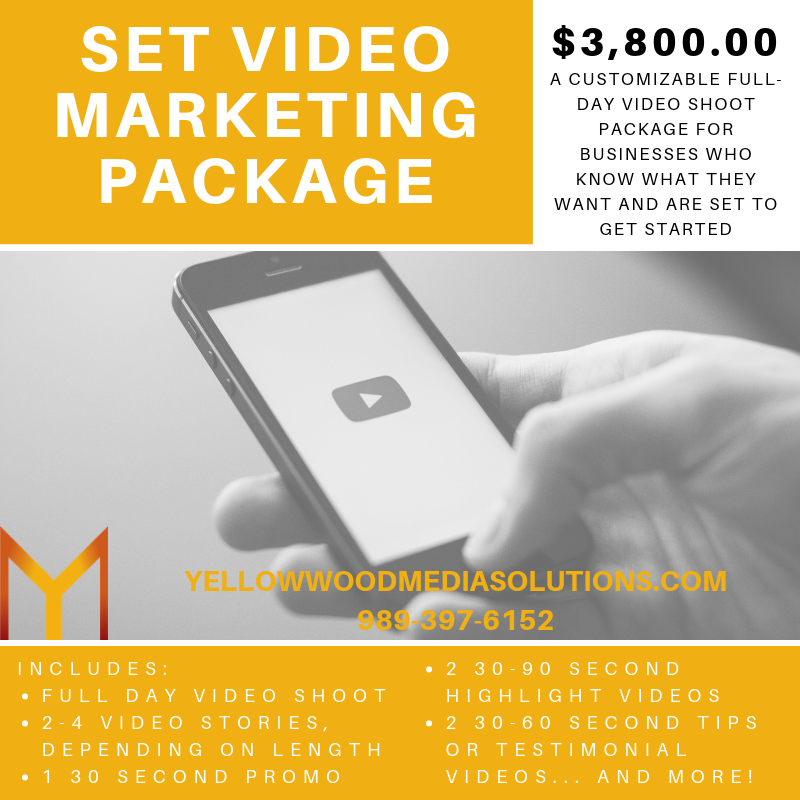 Yellow Wood Media Solutions (@YellowWoodMedia) If you&#39 ;re looking to really dive into video marketing, but aren&#39 ;t sure where to start, this pre-made #video package is for you! 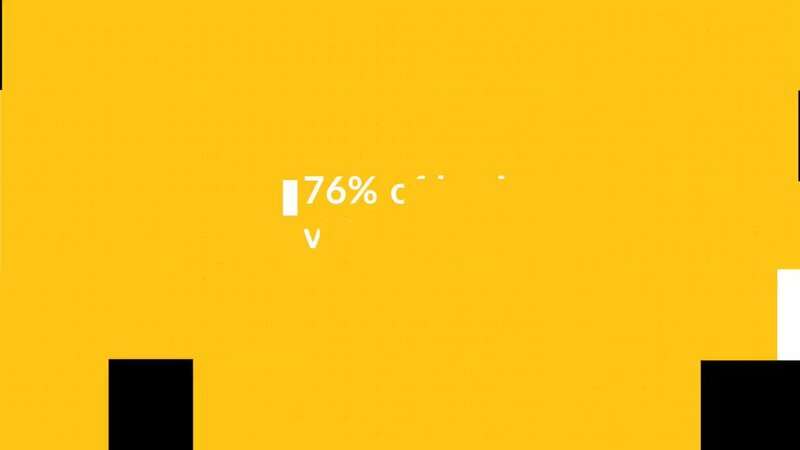 Yellow Wood Media Solutions (@YellowWoodMedia) Video is a great way for nonprofits to show off the amazing work that they do! 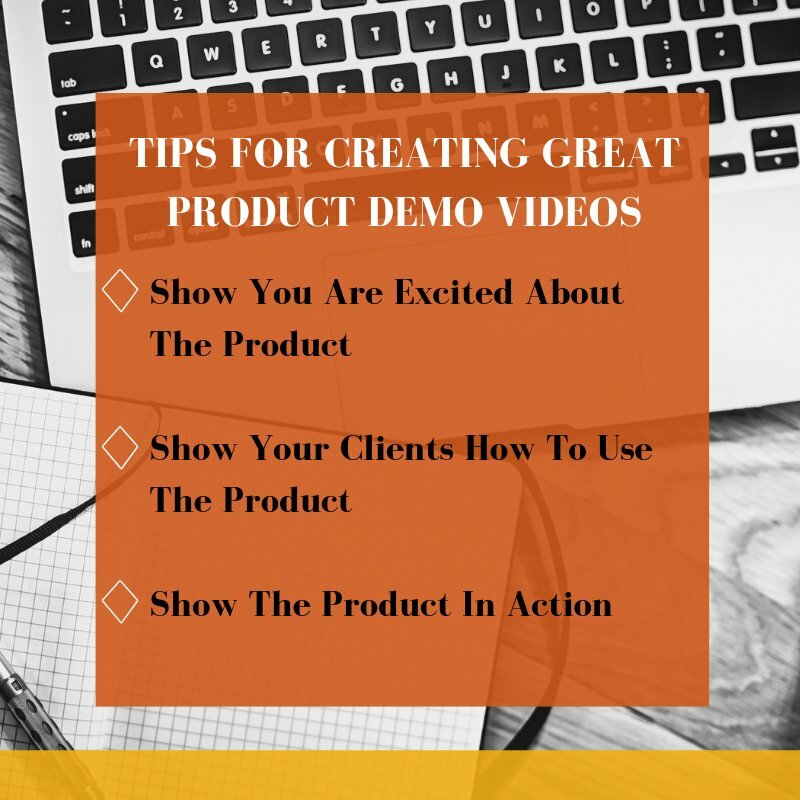 Here are some tips to ensure those videos get the results you want when your audience sees them! Yellow Wood Media Solutions (@YellowWoodMedia) If you&#39 ;ve been using stock #photos for your #website , now&#39 ;s the time to spruce it up with photos of your own! Stand out from the crowd and really make your website & #graphics pop with #drone photos of your building or work! Yellow Wood Media Solutions (@YellowWoodMedia) #Spring is in the air & that means it&#39 ;s almost #wedding season! 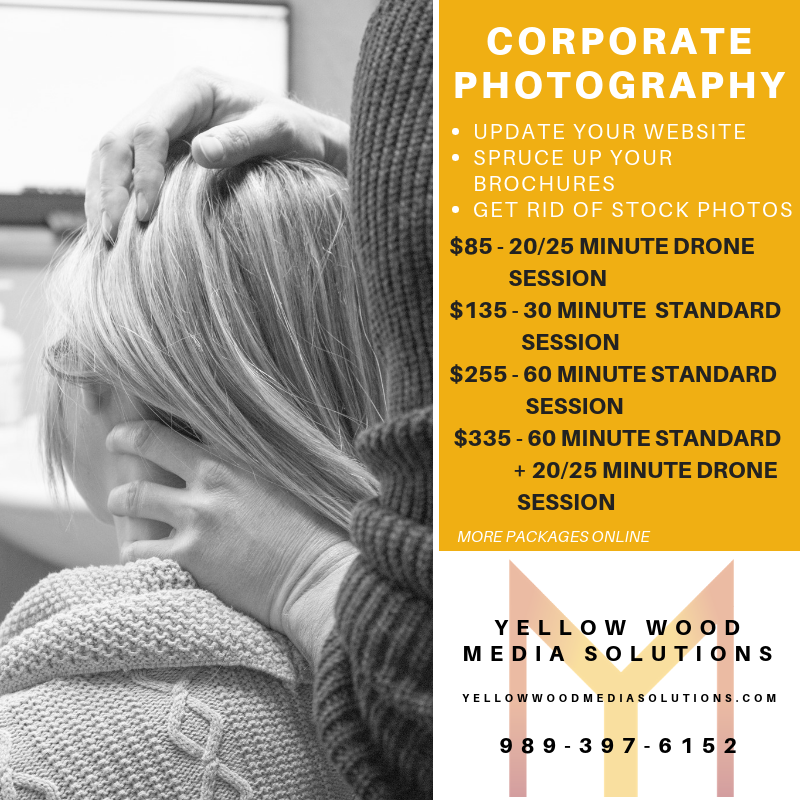 Yellow Wood Media Solutions still has some availability for #2019 & is booking for #2020 as well! We&#39 ;d love to book your wedding & give you a 15% discount!